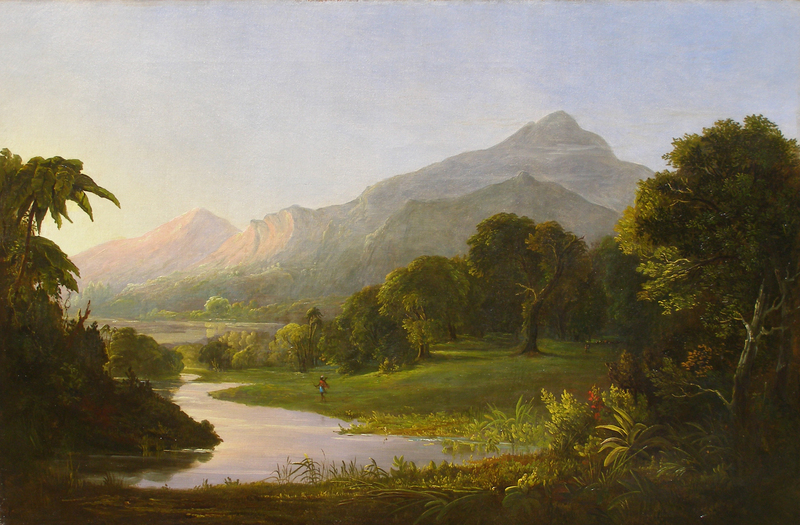 Jesse Talbot, “Tropical Scenery–Early Morning,” 1850, Collections of the Dyer Library and Saco Museum. Photo by Martha Cox. My current research project is focused on the little-known Hudson River School painter Jesse Talbot. Talbot was highly respected in his day and exhibited work at the National Academy of Design alongside Thomas Cole, Frederic Edwin Church, and many others, but he is scarcely remembered today. In researching why exactly this is, I’ve uncovered fascinating details about his biography and the cultural landscape that he navigated in mid-19th-century New York. If you know of any Talbot paintings in public or private collections, please contact me and let me know.